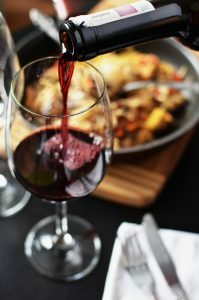 Can drinking wine keep flu away? As we head out of summer and into flu season, it’s always worth keeping an eye out for any kind of remedy for the sniffles. Ideal Wine Company review if wine will help to keep the flu away this winter. While you might reach for the paracetamol and cough medicine when you’re struck down by the symptoms of flu, it seems that there is another potential remedy that could be more fun. New research shows that the best medicine could be either in your wine rack or in your favourite cup of tea. Can wine prevent the flu? The study was overseen by scientists from the Washington University School of Medicine and published in the journal, Science. Results show that a common compound found in foods including black tea, red wine and blueberries appears to help gut bacteria fight off infections and, in turn, helps to prevent severe flu. The scientists tested their findings on mice and found that the flavonoids found in these common products work with a specific gut micriobiome. It’s called clostridum oribiscidens and creates a metabolite that can boost the response of the immune system. These immune boosting flavonoids can reduce the impact of flu symptoms and reduce the time it takes to get back to full health. The study’s lead author, Ashley Steed, says: “For years, flavonoids have been thought to have protective properties that help regulate the immune system to fight infections. Tempting as it is to get hold of your favourite bottle of red when you next have symptoms of a cold or flu, it should be noted that tests are yet to be carried out on humans. Therefore, the true effect that red wine, tea and blueberries have on your gut bacteria or the flu you’re suffering from is far from certain. Either way, they’re unlikely to do you any harm as long as they’re consumed in moderation. If you’re suffering from winter flu then it could be advisable to stick to the black tea and forgo the wine altogether – at least until more concrete evidence comes in!